They are beautiful, serene and exotic - and in the wild they live, largely unnoticed, right under our noses. Torquay’s coastal zoo is now home to native seahorses. The Latin for seahorse - hippocampus - means "horse caterpillar". They are as curious as their name: they have no stomach; the male goes through pregnancy and labour; and they use their long, thin snouts to probe into nooks and crannies for food, sucking it up like vacuum cleaners. 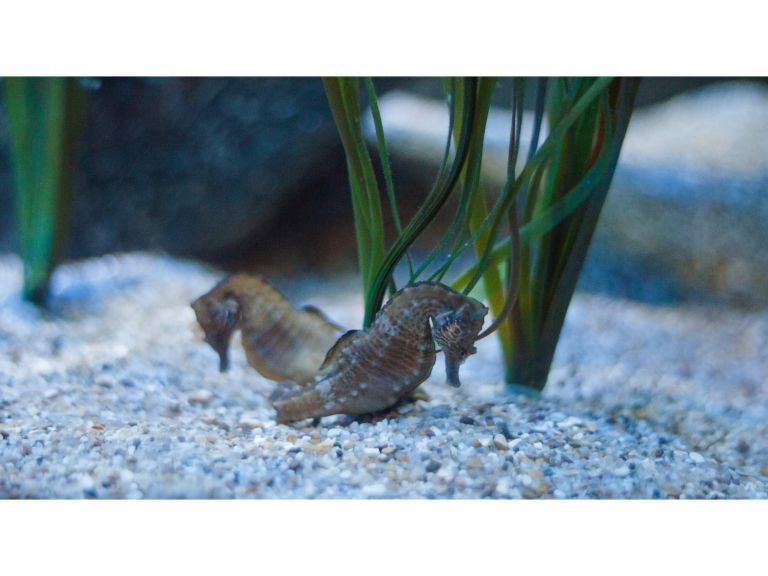 Curator of Living Coasts Clare Rugg said: “We did have native seahorses here a few years ago, so it’s nice to welcome them back. We now have two males and two females and we hope to maximize the chances of them breeding by providing the right conditions for them - good water quality, plenty of fresh food and seagrass which they cling to with their tails, which are prehensile, like those of various monkeys. The seahorses live in the seagrass meadows just offshore in the Bay. But seagrass is threatened by coastal development, irresponsible anchoring, dredging and other activities that disturb the seabed, including certain fishing methods. Seagrass beds are also at risk from pollution and by increased amounts of sediment in the water, which block sunlight and prevent growth. If the seagrass beds disappear, the seahorses will disappear. Staff at Living Coasts are currently working behind the scenes on a project to propagate seagrass. The long-term aim is to find ways of growing it on a large-enough scale to make planting out areas of suitable seabed viable. They have now grown some seagrass plants from seed; it’s a significant success, as the seeds of seagrass are notoriously tricky to germinate. For more information go to www.livingcoasts.org.uk or ring 0844 474 3366.